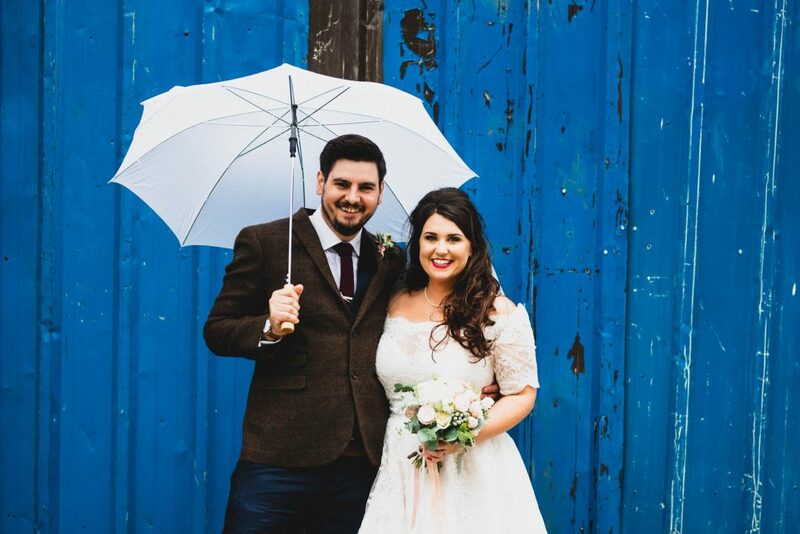 Wet Weather Wedding Day Planning :: What if it rains on your big day? Alanis Morissette once posited that rain on your wedding day was ironic. I would argue that, unless you are getting married in the Sahara desert, there is nothing ironic about it. In reality, certainly if you are getting married in Britain, rain on a wedding day is a disappointingly likely scenario. 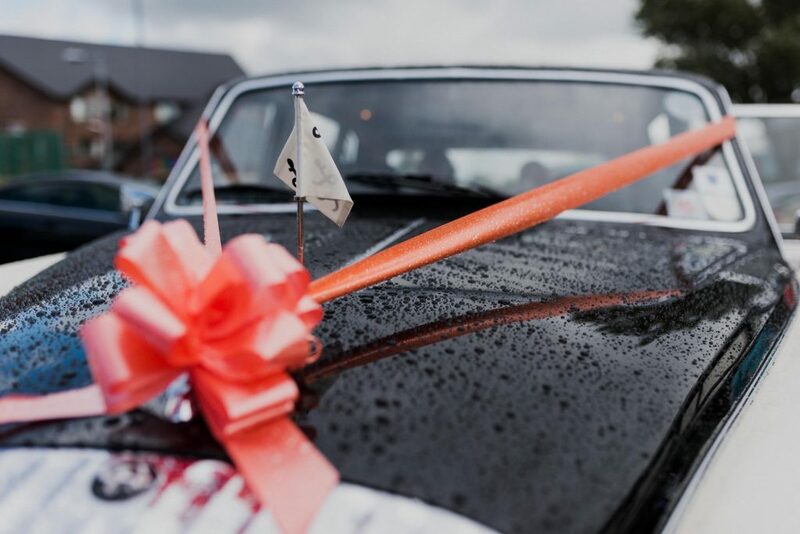 So, how can you keep your wedding day from being ruined by precipitation? Denying the possibility entirely will only set you up for huge disappointment if it does. 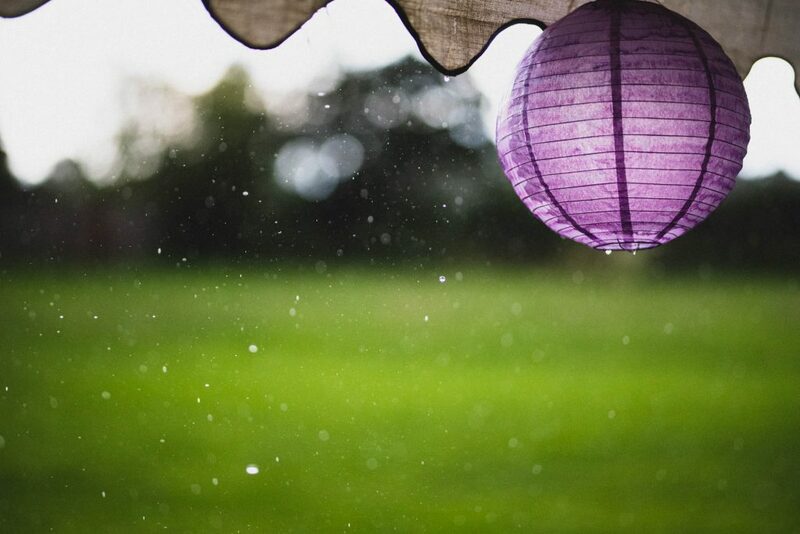 It is likely that your wedding venue will have a wet weather plan already. They probably deal with rain all the time. To properly plan for the worst, we first need to understand what could go wrong. 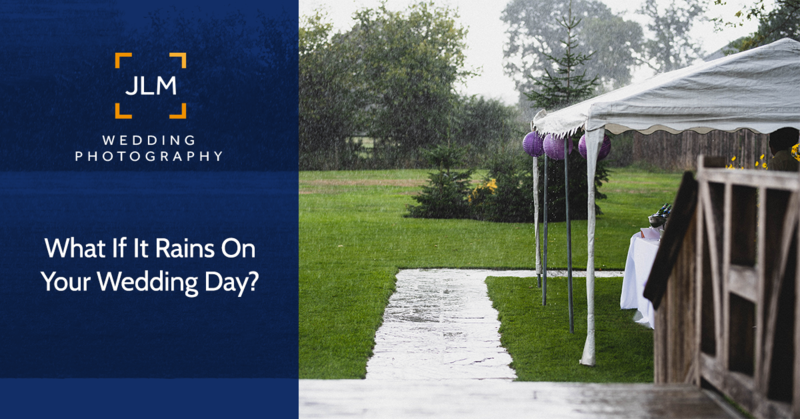 We all know rain on your wedding day is a bad thing, but why exactly? What problems does rain actually cause? 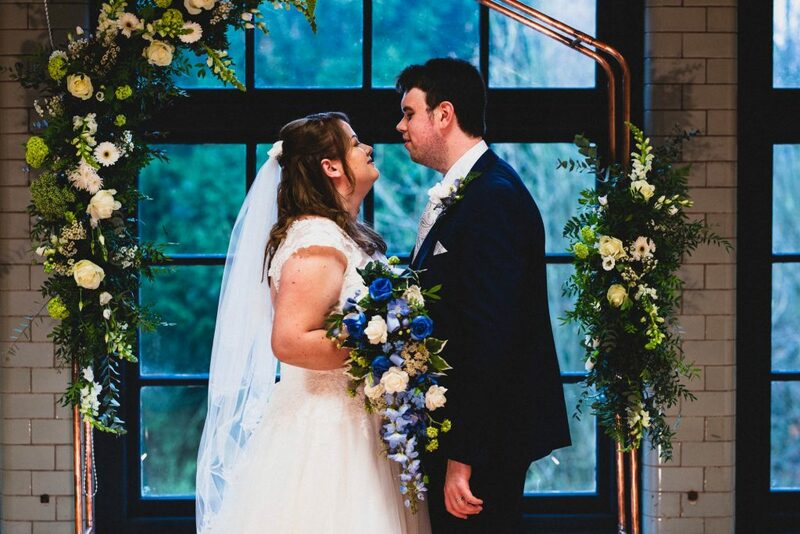 If you are planning your wedding in Britain it is a safe bet that your ceremony will be indoors. At the very least you will have a backup covered ceremony room in case of rain. So the ceremony itself should be unaffected. Getting to and from each venue if where you may find it a problem. You don’t want the rain spoiling your hair, makeup or dresses. Depending on your reception venue, indoor and sheltered space may be limited. Whether this is actually a problem depends on the specific venue and how many guests you have invited. The rain will also limit the photos that you will be able to get. All that lovely outdoor space may seem out of reach. 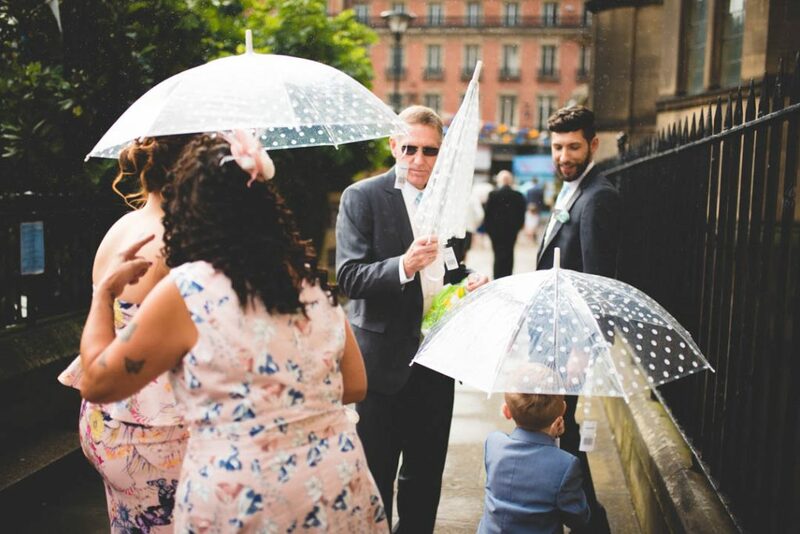 If it rains on your wedding day, don’t panic! What you need to remember us that this is your wedding day, whether it rains or not. You owe it to yourself to not let it ruin the day you have been planning all this time. Well, bring an umbrella is the easy answer to the hair and makeup issue. As a photographer, I’m probably best placed to give you advice on how to get the best photos possible in the rain. Look for breaks in the rain. Some days it just rains and rains. Others you’ll get some breaks. 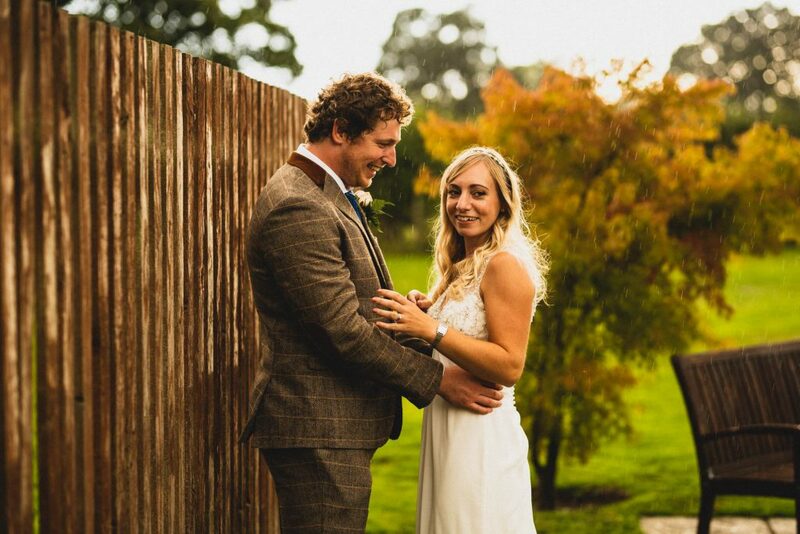 If you spot a break in the rain and you have a few minutes to break away from the wedding then do it. 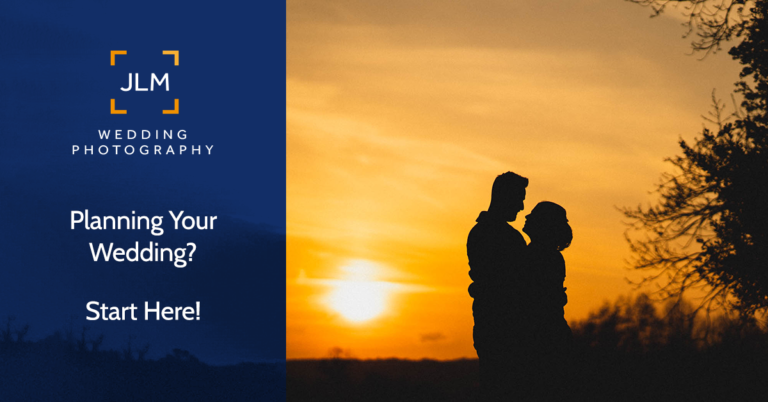 Grab those few minutes, get outside and get your snaps. You’ll get the added bonus of shiny glittering grass too. Especially if the sun is making an appearance. Every wedding venue has something interesting inside. Some kind of feature whether it be a grand piano, a cool brick wall or a spectacular staircase. Find those spots and make use of them. If you can’t find anywhere you can always get creative and block out the background completely. I could sum this article up in five words. Don’t let rain defeat you. 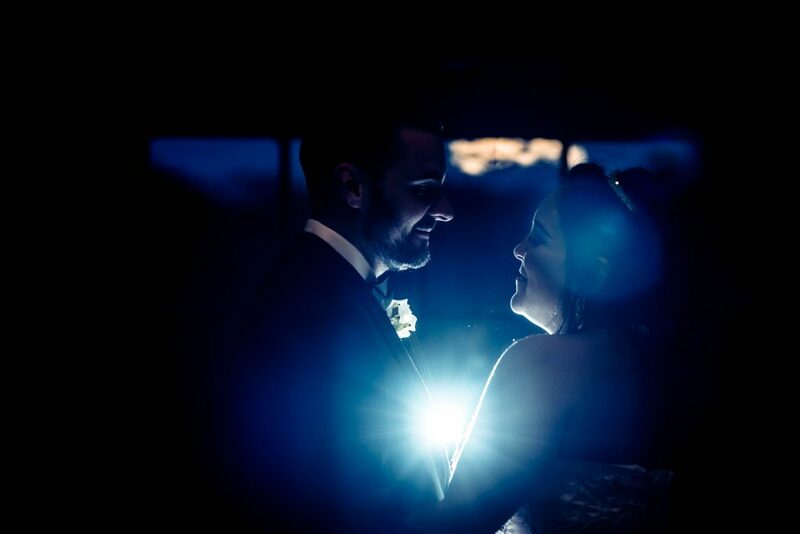 It is so important that, no matter what goes wrong on your wedding day, you make the most of it. The tips I have given you will hopefully have prepared you for the worst the weather has to offer. If you get a sunny day then great. Still, it never hurts to be prepared.